Enhance and beautify the colour of all interior wood projects. 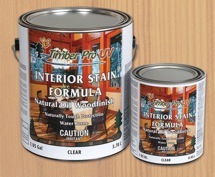 Timber Pro Interior Stain Formula is a waterborne alkyd wood stain designed to enhance and beautify the colour of your interior wood projects. The low odour and low VOC make this an ideal product for all your interior projects. 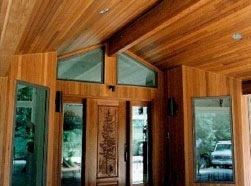 topcoat to protect your interior wood projects. Broad Colour Range: Provides a choice of 56 colours to match all your interior needs. Low Odour: The specially formulated Interior Stain Formula has a very low odour making it ideal for interior application. 3 Sheen Levels: Used in combination with Timber Pro Crystal Urethane a satin, semi-gloss and gloss finish can be achieved to match and accent your interior decor. 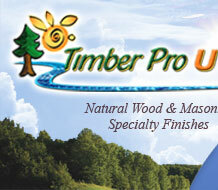 Easy To Apply: Timber Pro Interior wood stain can be easily applied by spray, brush, or paint pad. 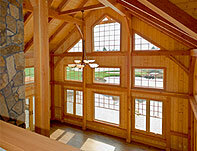 Low VOC Formula: The low VOC formula of Interior Stain formula is better for the environment.